With Niall staying for a week after New Year it seemed like a good opportunity to knock off another item on Karen’s to do list – new yards. 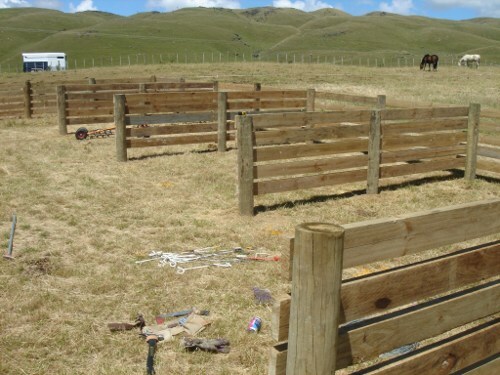 Much like the stables, I think once these are done we’ll find a lot more uses for them than just putting horses in them now and then.To that end I’ve used 5 150×50 rails (6×2 for those in the US) on 1.3m high posts at close spacing. They should contain the horses just fine, but also cows and sheep if they need to come in. There are four 4m x 4m pens opening onto a working area. Here they are without fronts. 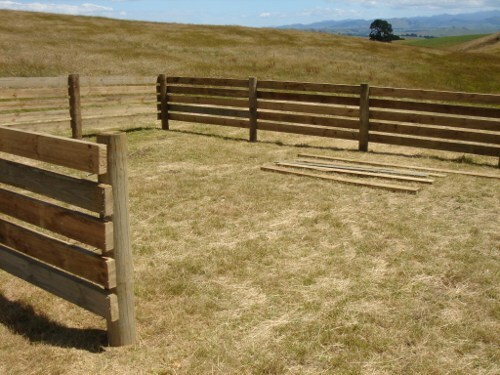 And a larger 12m x 7m holding pen for mobs or mare and foal etc. Finally, the pens with fronts, just awaiting their gates. 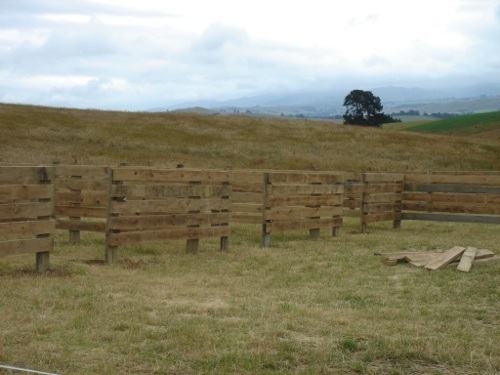 Once they’re finished in the next few days the yards should prove quite handy (and much more convenient than the old cattle yards down at the front of the property).